The Cleveland Browns and punter Britton Colquitt have agreed to terms on a four-year deal. Colquitt, an undrafted free agent from Tennessee in 2009, averaged 45.3 yards per punt for the Browns after being cut by the Denver Broncos. With Colquitt now in the fold and Isaiah Crowell tendered earlier on Tuesday, only Austin Pasztor and Terrelle Pryor remain unsigned. The Cleveland Browns have offered running back Isaiah Crowell a second-round tender worth $2.81 million according to multiple sources. 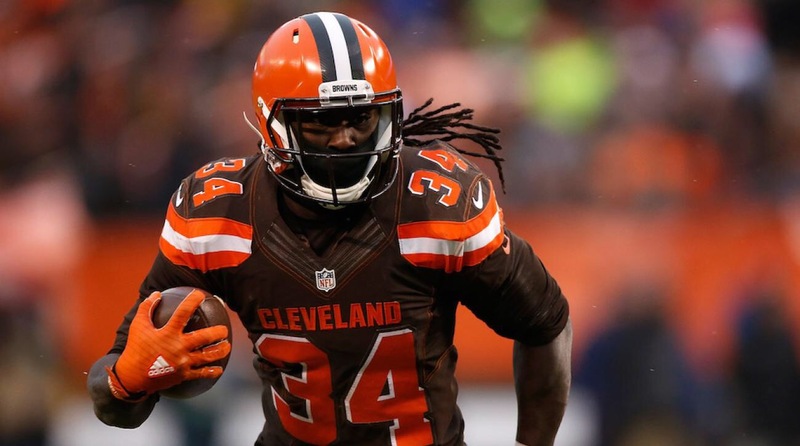 Crowell, who was undrafted, is a restricted free agent. By receiving a second-round tender the Browns can now match any offer he receives or get a second round draft pick from that team if they choose not to match the offer. Crowell had his best season in 2016 despite not getting more than 10 carries in six games. He finished with 952 yards while carrying the bulk of the load for the 1-15 Browns. The Cleveland Browns released wide receiver and fan favorite Andrew Hawkins on Monday. The move comes after the veteran reciever asked the team for his release so that he could move on and possibly get a championship before his career ends. At 30-years-old, Hawkins served as a mentor for the young players on the Browns roster and was an all around great guy on and off of the field. Over three seasons Hawkins started 28 games and brought in 123 catches for 1424 yards and five touchdowns. It’s tough to say goodbye to men like Hawk, that have done everything you’ve asked of them and gone above and beyond when it comes to leadership. Hawk was a rock for us last season.He kept our locker room together and led by example as he gave everything he had on the field.Our young players are going to be better players and better people because of the time they spent with Andrew Hawkins. The loss of Hawkins leaves the Browns extremely young at the wide receiver position with second-year guys Corey Coleman, Rashard Higgins, Jordan Payton, and Ricardo Louis as the only pass catchers currently signed to the roster as the team attempts to bring back Terrelle Pryor this offseason. Over the next few weeks here at OrangeandBrown365.com, I will be ranking the Browns best players in a few different groups. The best place to start of course is at the most talked about position, quarterback. Since 1999, 26 different guys have started a game under center for the orange and brown. Many of them were terrible, some were decent, some were serviceable, but none were great. That is why this list was so hard to come up with and also why there have been 26 different names to choose from. Without further delay, the number five quarterback for the Cleveland Browns is…. McCown came to the Browns in February of 2015 after signing a three-year deal with then general manager Ray Farmer. It was believed by many that McCown would come in and start and allow the Browns to slowly bring along 2014 first round pick Johnny Manziel. McCown was also the perfect guy to mentor the former Heisman Trophy winner. By May of 2015, McCown was named the starter. In his first game as starter, the gritty and gutsy McCown was knocked out of the game when he dove head first into the endzone and was sent into a helicopter spin by then Jets, and now Browns, linebacker Demario Davis. He missed the next week with a concussion before returning to the lineup in week three when he threw for over 340 yards in a 27-20 loss to the Oakland Raiders. In all, McCown started eight games for the Browns in 2015. He started three more in 2016. His record in those eleven games was 1-10. In 13 total games in the orange helmet, McCown threw for 3209 yards and 18 touchdowns. Over two drama filled seasons with the Browns, McCown was a consummate professional. He was a stand up guy on and off of the field and had some of the highest yardage games of any quarterback the team has had since 1999. Though his record with the team will show just one win, he comes in at number five on this list for the way he played on the field and the way he handled all of the drama around the franchise. McCown is the blue-collar type of player that fans in Cleveland can relate to and love to watch play. The Browns released him on February 7, 2017. Before doing so, head coach Hue Jackson did extend an invite to McCown to become part of the coaching staff. The 37-year-old journeyman declined and is now a free agent. After years of letting talent get away, the Cleveland Browns most recent front office said that they would make sure they would not let that trend continue. So far this offseason, they’ve kept their word. The 6’4″, 248 pound, Hughlett is in second season with the Browns after being undrafted out of Central Florida. If there is any indication of how good Hughlett has been as a long snapper, just ask Browns fans who he is. The fact that seven out of nine people I spoke with tonight were clueless as to who he was means he has done a very good job. Dawg Biscuits: What Should the Browns Do with Pryor? Terrelle Pryor was the Browns best weapon in the wide receiving corps with 77 catches for 1077 yards and four touchdowns in 2016. It was his first season as a full time wide out. Now, after putting up those numbers, he is a free agent and there is a lot of pressure on the Browns to bring him back. So what should the Browns do? Guarantee a guy who had one good season $20 to $30 million over a five year deal averaged at $10-$11 million or should they play it safe and sign him to a franchise tender worth more than $15 million for one season? Hard to say at this point, but I am leaning towards the franchise tag being the best move for the long term. I will touch more on this in a full length article later this week. Personal opinion on Pryor…he is only scratching the surface of what he can do, but will he build on the hype? Pro Football Focus graded all rookie quarterbacks. Dak Prescott was number one with an 84.9 grade. Carson Wentz was number two with a 76.8 grade…and the biggest surprise…Cody Kessler was number three with a 74.2 grade. I liked Goff the most out of all quarterbacks last season. I still think he has a tremendous skill set, especially suited for a west coast offense. Last thing on a QB…if the Bills release Tyrod Taylor, they are idiots. Plain and Simple. His contract is the 20th highest annual value for a QB and he is better than a top 20 QB in my opinion.